Remote desktop software’s has become one of the most important software for teams and business owners. You can access other team members using them. You can access other computers and remotely use them. One of the most popular remote desktop software is Teamviewer. Through this software, you can access other desktops and control their computer or Mac. 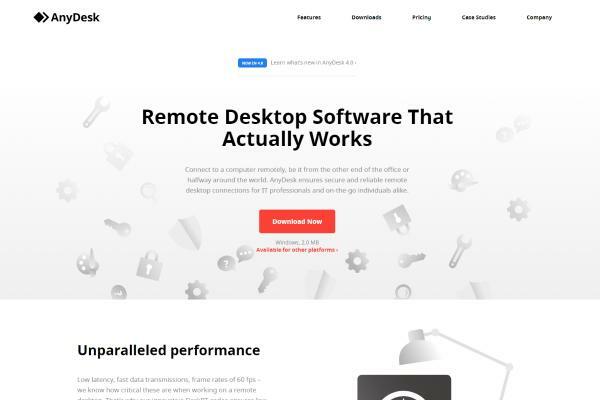 This software is used by people all around the world and is the most famous remote desktop software available right now. Teamviewer is also available for Smartphone’s nowadays. This makes it one of the most famous remote desktop sharing software. But, it has many drawbacks which we will talk about now. The most important issue with Teamviewer is that it is not easy to configure. New users find it hard to configure Teamviewer, which leads to security issues. Also, the free version of Teamviewer has very limited use. If you want to use this software for business purpose then you have to pay a hefty amount of money. 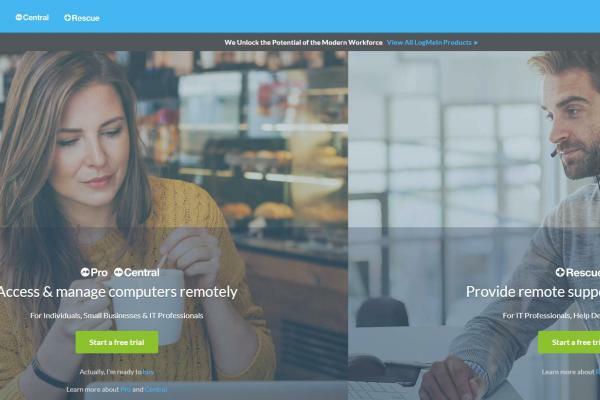 These two are the major reasons why people are looking for Best Teamviewer Alternative 2019. Now, we will tell you the best Teamviewer Alternative available right now in the market. Below is the list of Free Teamviewer alternative which you should try. LogMeIn is the best Teamviewer alternative available right now for simple users. It allows its users to not only access other remote computers. But, also allow them to share and store files on that computer. This is used to use your own computer when you are away from your workplace. You can use this tool to use your computer from anywhere in the world. This is also the main motto of this software. Unlike Teamviewer which is for accessing other remote computers, this is used to transfer files to your computer. You also get 1TB cloud storage with this software to access your files from anywhere. It is very used to set up and allow file transfers. But, it has no sound and chats feature which is important for business purpose. Also, the only one-month free trial is available after that you have to pay $30 per month. AnyDesk is the most famous Teamviewer alternative right now. It packs a lot of features like Teamviewer which makes it the most favorite Teamviewer alternative. Anydesk have some very unique features which are not even included in Teamviewer. One of the most amazing features it has is you can do screen sharing at 60 FPS. This is not available in any other remote desktop sharing software’s. Also, it is the most secure remote desktop sharing software. It uses banking security technology to make sure no one can access your computer without your permission. Security is the major concern with Teamviewer, but with Anydesk you don’t have to worry about the security issues. The only issue with Anydesk is that sometimes it can be buggy. But, compared to its benefits it is not a major concern. For private users it is free so you can enjoy this software without worrying about money. Chrome remote desktop is perfect for light users. It doesn’t have features like Teamviewer but it is 100% free. You will get all the features of it without paying anything. You can access any computer, Mac or even Linux using this software. The other computer must have chrome installed otherwise it won’t work. You can also use this to access other chromecasts. Using this you can access other computers using your chrome browser. 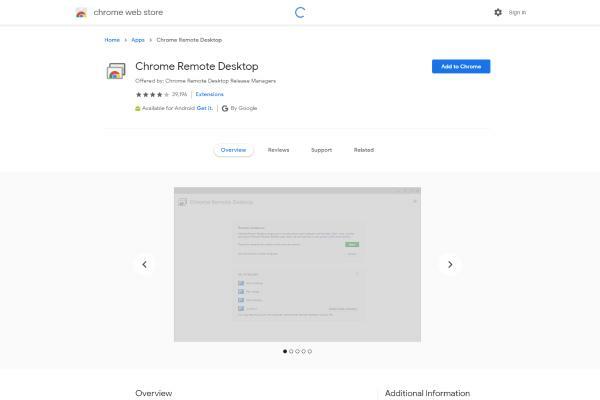 One of the major features of the Chrome remote desktop is that it is completely free. Also, it is available on all the platforms and very easy to set up. 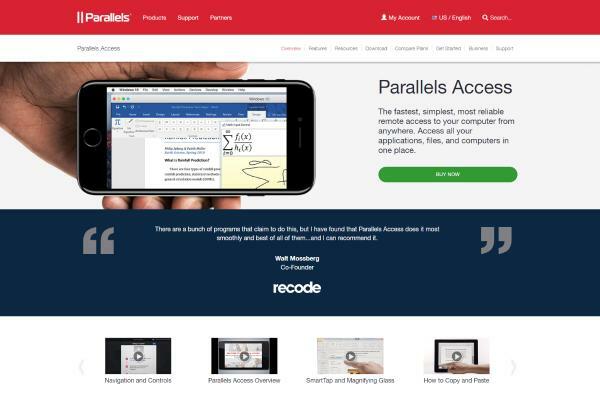 Parallel Access is also one of Teamviewer alternative. The unique thing about this is that it has a mobile app. You can access your computer using your mobile device. This makes it unique compared to other alternatives. Also, it is available for free and is very secure to use. 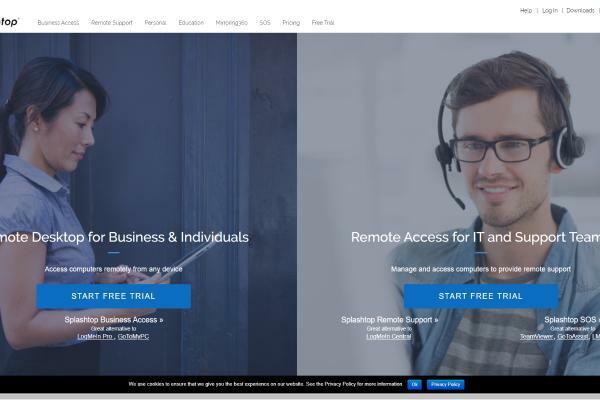 Bomgar Remote Support is one of the most secure remote desktop software. If security is your priority then you must go for Bomgar Remote Support. The most common problem with Teamviewer is that it can be used to hack your computer . To deal with this Bomgar Remote Support have taken a lot of security measures. Your data never get mixed with other consumer data which makes your connection more secure. Also, it has many more other features like it provides users with reliable support. You can use this software on any platform you want. It also allows third-app integrations for easy communication. You can use third-app integrations to manage your business better. 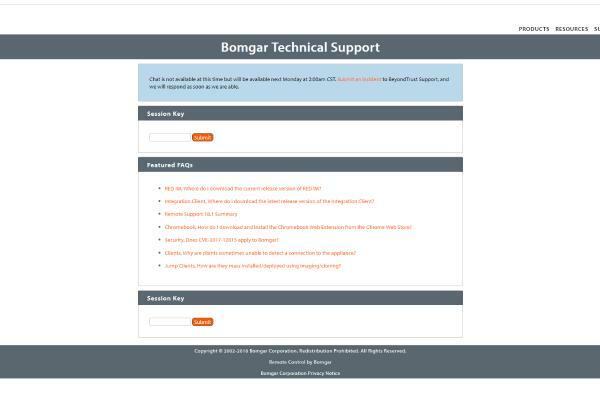 If you are looking for something secure then Bomgar Remote support is for you. You will have to learn a little bit about how to use it but giving its features it is worth it. It is free for one month but after that, it will cost $1995/year which is the only drawback of it. 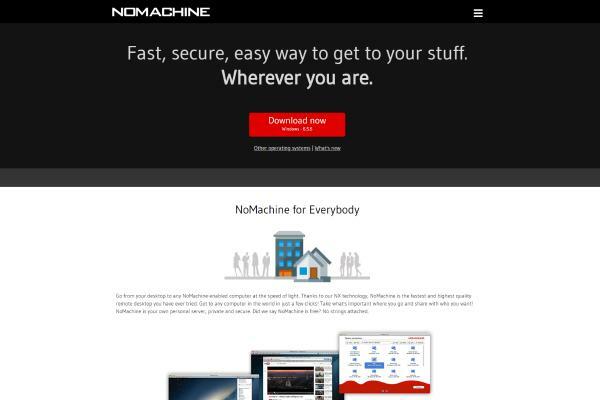 NoMachine is another free alternative to Teamviewer. It doesn’t even include ads making sure that you have a hassle-free experience. It also allows users to stream live video from their computer which makes it a bit unique. It has all the other features of Teamviewer like accessing other computers. You can use this on any platform like Windows, Android, Mac, and Linux. It has very less lag compared to Teamviewer and is free for any type of users. If you are looking for a completely free alternative with same features like Teamviewer, then you must go for this. Lite Manager is another affordable alternative of Teamviewer. You can access computers on the internet or your local network. It is also compatible on cross-platforms like Teamviewer. Using this, you can access up to 30 computers for free. After that, you have to pay minimal one-time fees. 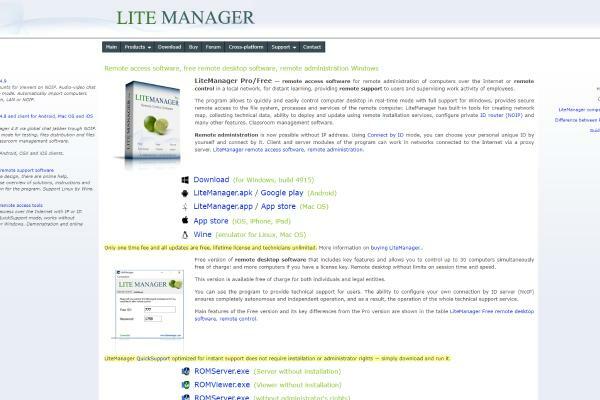 Lite Manager has limited features compared to other but it is enough for normal users. Also, it has more value for your money as you have to only pay one-time fees. After that, you can use the Lite Manager without any hassle. It is almost free for users who have limited use. 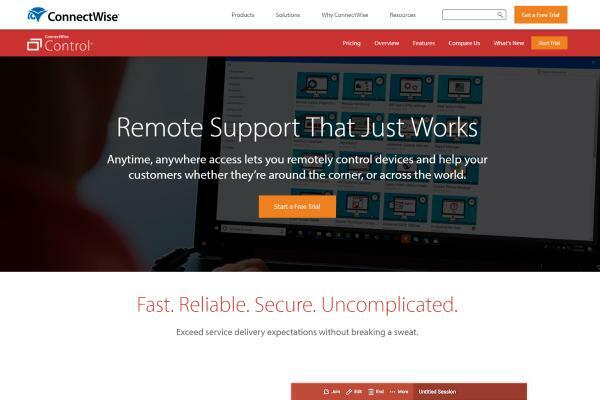 ConnectWise Control is another famous alternative of Teamviewer for business. It is perfect for corporate users and is made according to business needs. You can use this tool as an individual, but it is recommended for corporate users. There are many different plans available for businesses. You can find the perfect plan for your business . It also has 256-bit encryption making it a lot more secure. It has third-party apps integrations which makes it easy to control your business. ConnectWise Control has many more features compared to Teamviewer for corporate users. The only demerit of this is that it is not suitable for individual users. Supremo is of the fastest and reliable Teamviewer alternative. This software allows you to connect to other computers in seconds. Also, it is very easy to install supremo on your computer. Unlike other software’s, Supremo comes with a very small installer and takes very little time to install. Supremo also has 256-bit encryption which makes it a lot more secure than other alternatives. It is perfect if you are having a business, as you add your own logo in this. 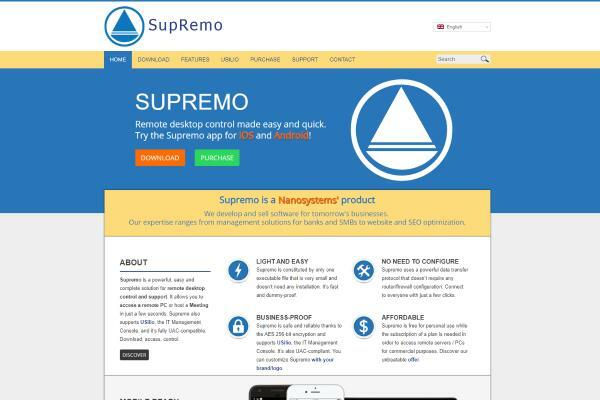 You can use Supremo for free for local networks, but to access your computer from anywhere you need to buy a license. Supremo is not supported on MacOS and also doesn’t have voice support. If you are using MacOS then you should look for other alternatives. Ammyy Admin is very light software like Supremo. Its size is less than 2 MB and is very easy to install. It allows you to connect to another computer, chat with them and perform other actions which are available on Teamviewer. It is also free for non-commercial use and you can buy different packages for commercial use. Its simplicity is the reason why most of the users go for this. Splashtop is an all in one solution for individuals and business. This software is a perfect alternative to both individual users and business users. It has 256-bit encryption which makes it very secure. Other than that it also has 2-step verification which makes it more secure compared to other alternatives. The unique thing about this is, that client doesn’t need to even install Splashtop. You can access their computers without even making them install Splashtop which makes it easier to communicate. Also, it is available for 16.99$/year which makes it one of the cheapest alternative to Teamviewer. These were the entire best Teamviewer alternative present right now. Each of this has its own merits and demerits. Some of them are suited for individual users and some are for corporate users. You can filter the list according to your need and find the perfect one for you. Thoughts on "Best Teamviewer Alternative 2019"